The Samsung Galaxy S8 is particularly fragile. Both the front and back surfaces are made of curved glass. 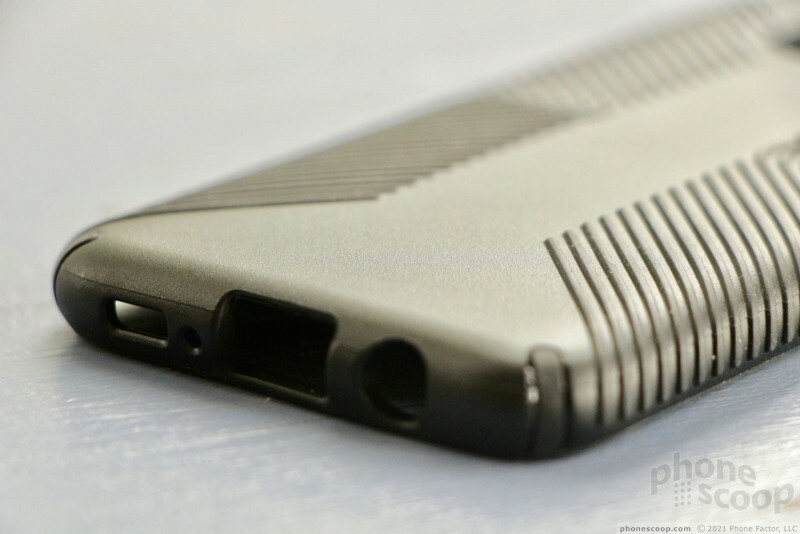 A case is more or less mandatory, especially when you consider the phone's hefty price tag. 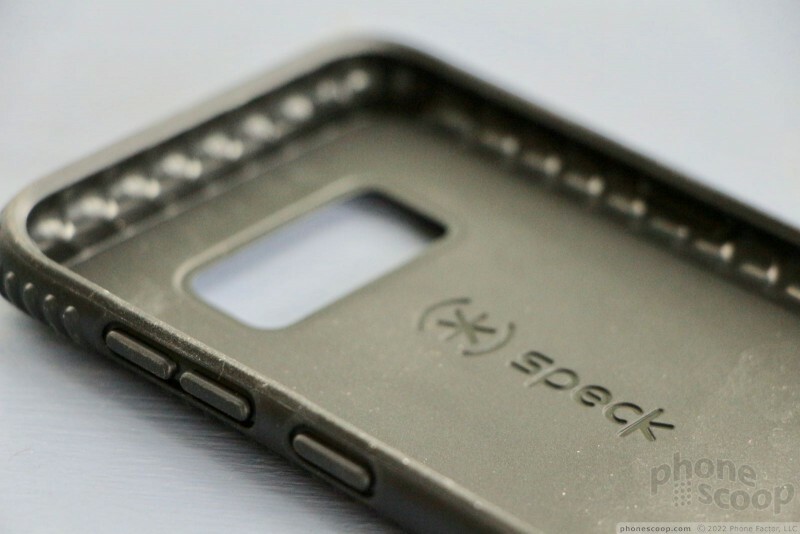 Speck has been wrapping smartphones and other devices in protective cases for years. The company has a lot of visibility because it has good distribution deals with wireless carriers and electronics stores. 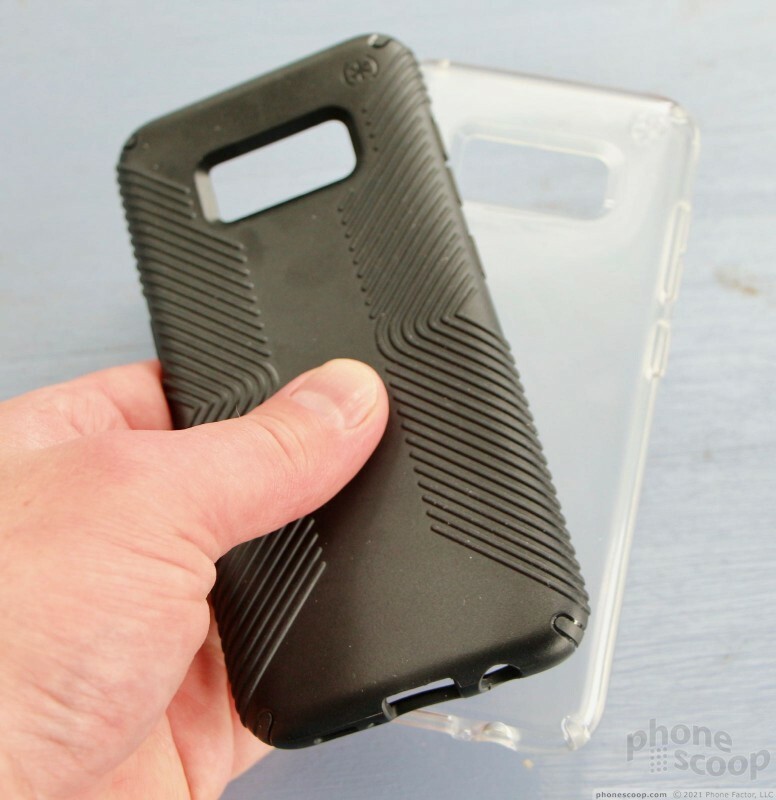 That means Speck cases are among those you'll likely find lining the walls of a local shop. Given their wide availability, Phone Scoop decided to put some Speck cases to the test to see if they're worth the extra cash tacked onto your $750 Galaxy S8 purchase. 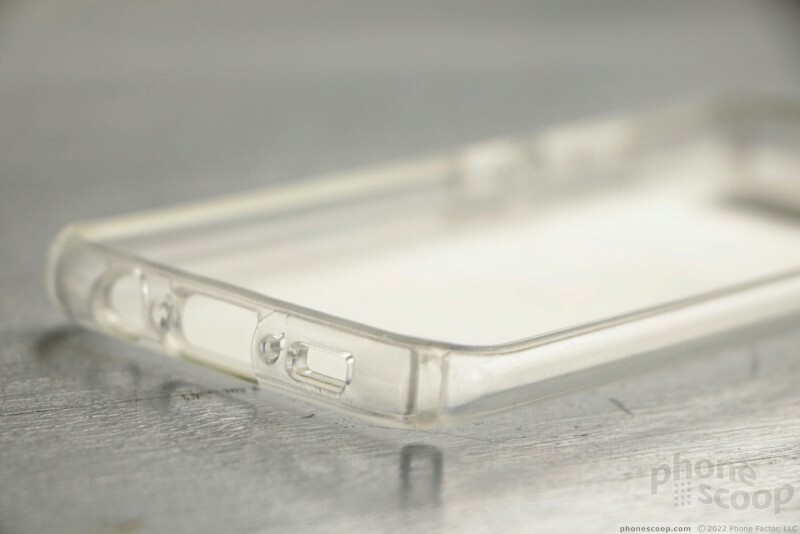 The Presidio Clear is similar to the Crystal Bumper from VRS Design we looked at earlier this year. Clear cases are supposed to let you focus on the phone, not the case. 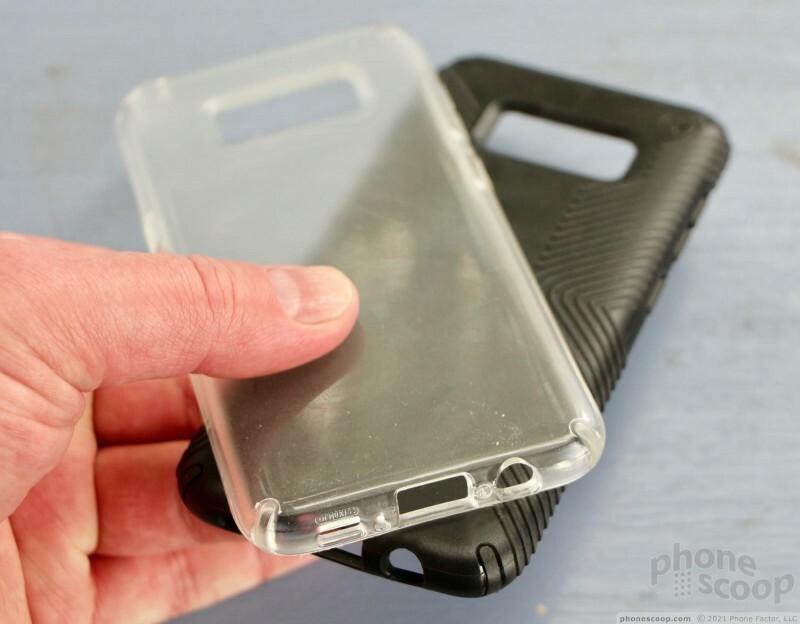 The see-through material lets you spy the phone within enjoying the case's warm embrace. 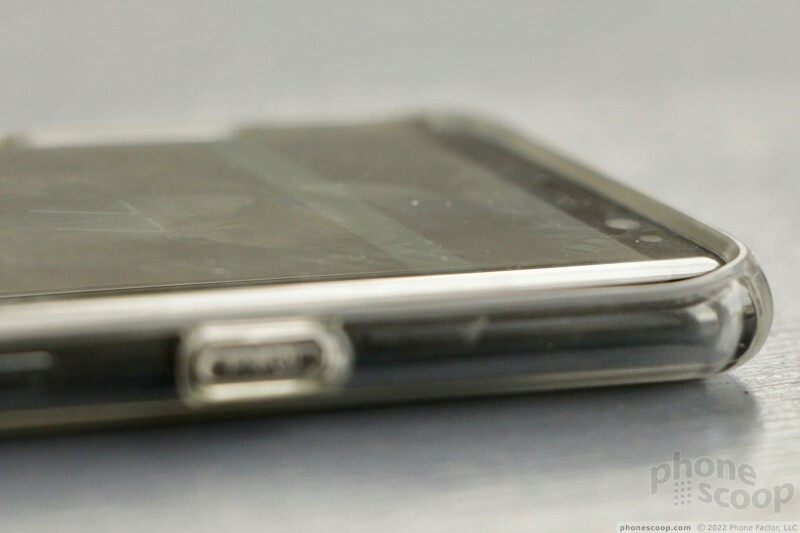 Unfortunately, the Presidio Clear still obscures the phone enough that it could be any handset nestled inside. The Clear is not a fully rugged case; instead, it targets everyday activities. Heading to a backyard BBQ this summer, or your local watering hole for an evening with friends? The Clear is an ideal choice for protection. Looking forward to a day tackling some trails on your mountain bike, or getting some work done around the construction jobsite? Maybe find something a little more robust. 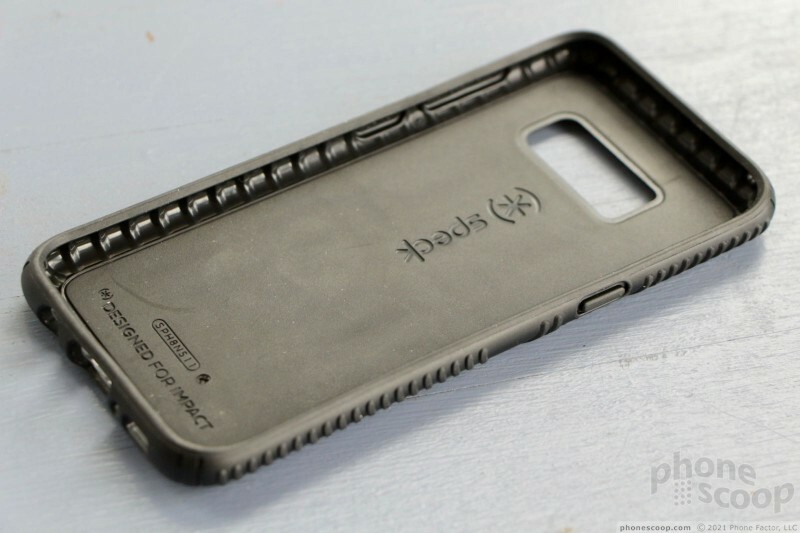 The case is made out of what Speck calls "Impactium Clear" (cough, plastic, cough). The rear surface is smooth and somewhat hard. 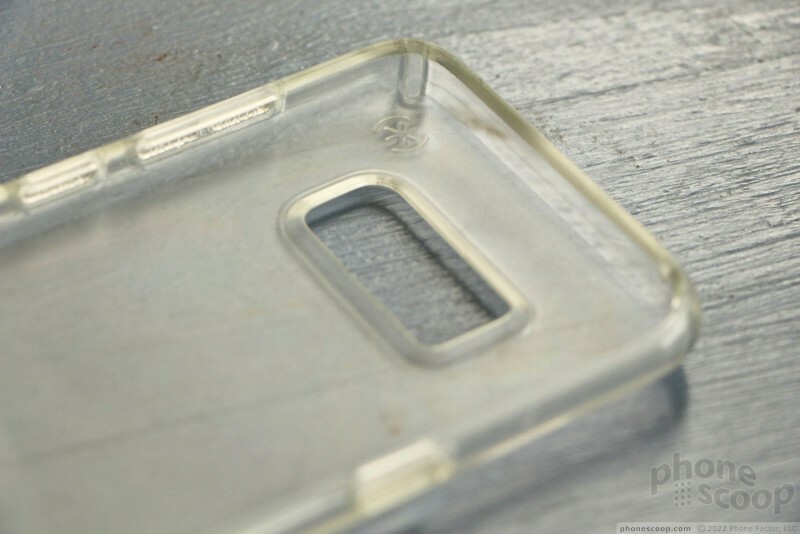 The four side panels of the case are also made of hardened plastic, though the four corners are rubber. 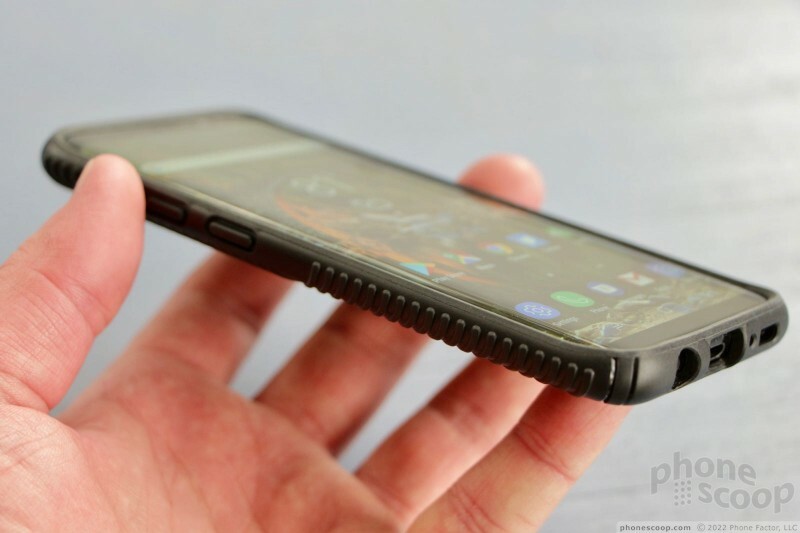 The rubber in the corners helps provide the case with some flexibility for fit and resiliency when dropped. The interior has a more rubbery feel to provide cushioning. It's a snug fit around the S8's curved chassis. You'll have to work just a bit to get it over the top and bottom edges. It's actually harder to remove the case than it is to put it on. 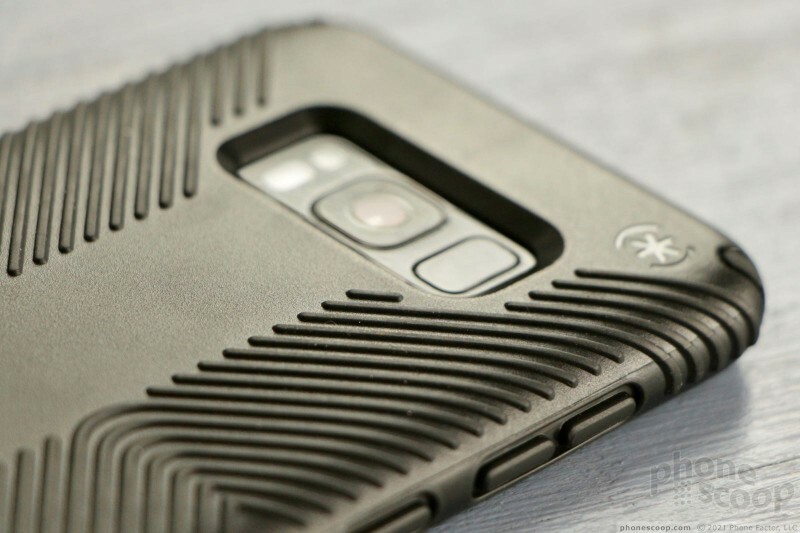 It adds minimal bulk to the S8 while still covering the highly susceptible side edges from damage. 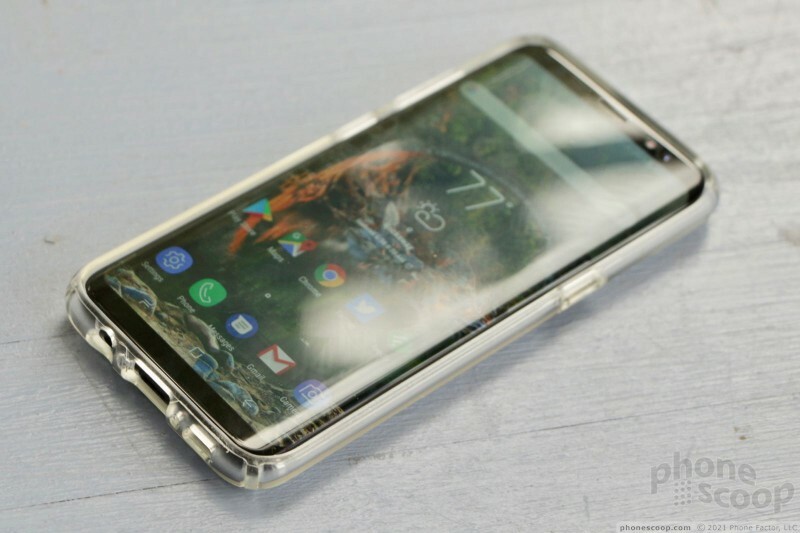 Perhaps more importantly, the ends of the case form rims along the top and bottom of the phone, which allow you to place the S8 face down on a flat surface without worrying about damaging the screen. 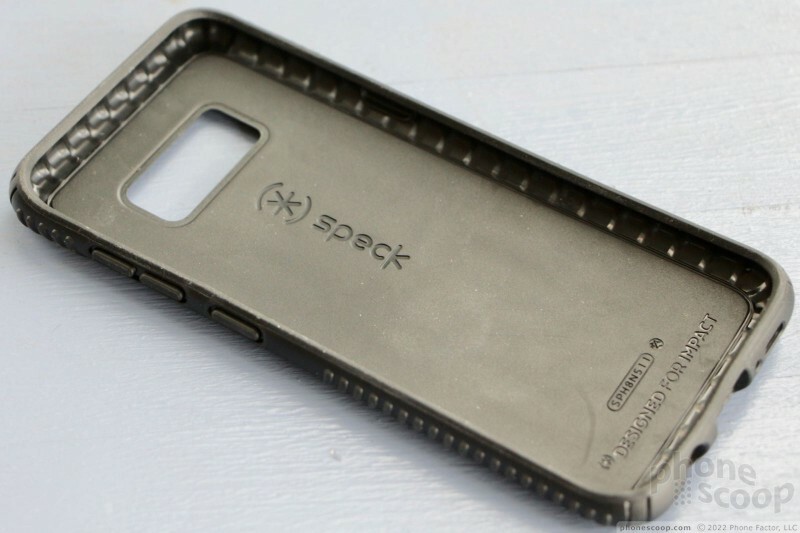 Speck says the case is rated for drops up to 8 feet. That means your pricey phone should be safe from the common waist-height drop. I dropped the S8 onto concrete from waist high while it was wearing the Presidio Clear and the phone didn't take any damage. Speck says the clear plastic is UV resistant so it shouldn't turn yellow over time. 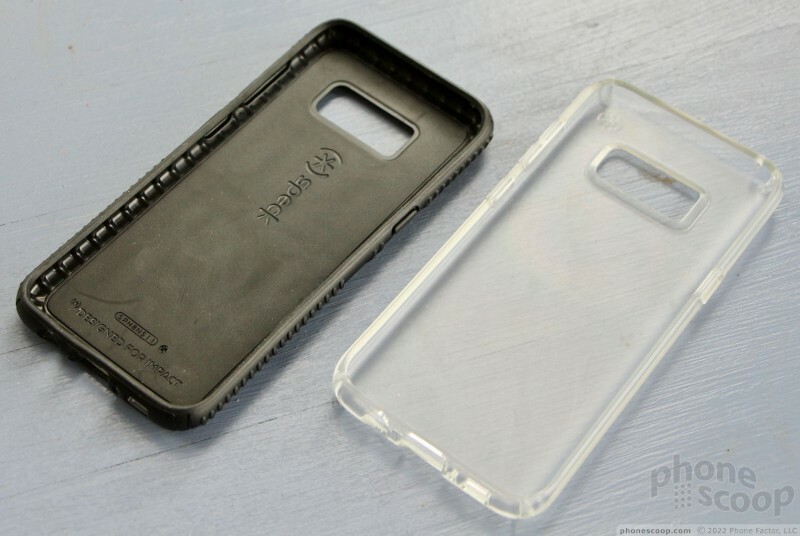 It's also scratch resistant, so the back surface of the case (and your phone!) should be safe from keys and other sharp dangers. 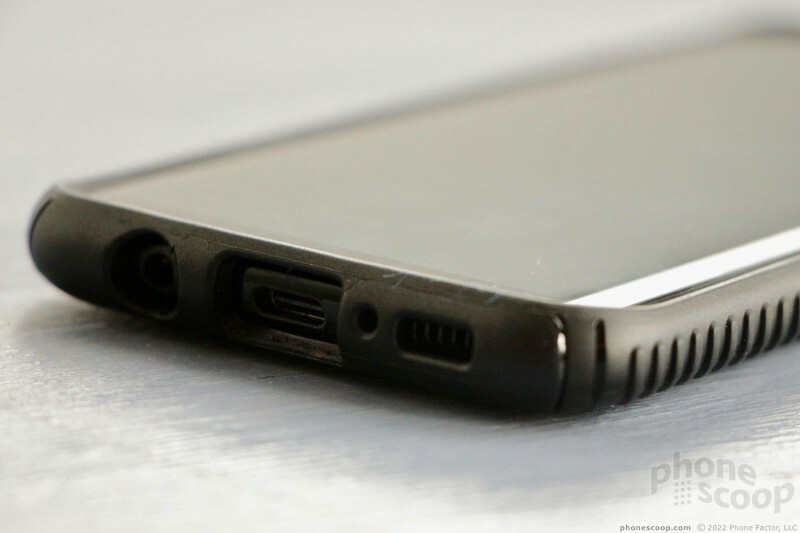 It should go without saying, but I'll say it anyway: the entire front of the phone remains completely exposed. That means the screen may still break if you drop it face down. As for usability, the Presidio Clear doesn't get in the way too much. It adds a few millimeters to the S8 in every dimension, and a small amount of weight. 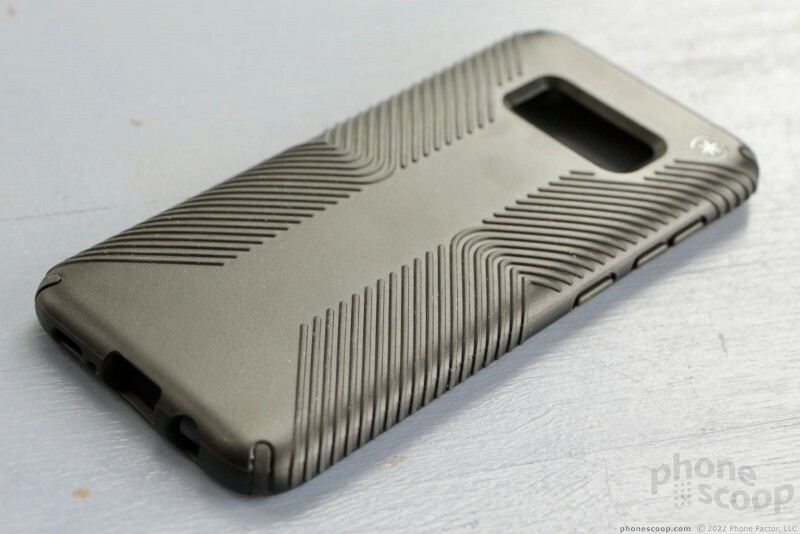 The plastic material of the case doesn't love the lining common to most jeans pockets, so pulling the phone out of your pocket with the case on is more difficult than it would be were the S8 naked. 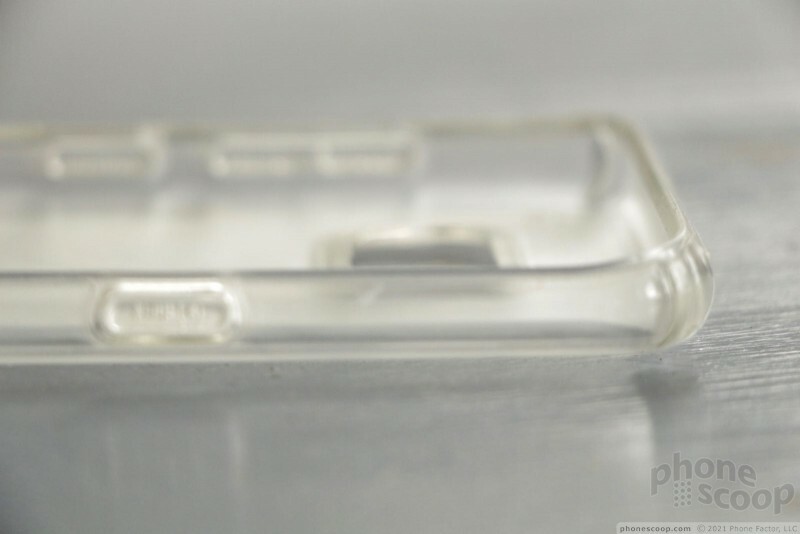 Speck built raised nubs on the side edges to ensure you can easily find and use the S8's buttons. 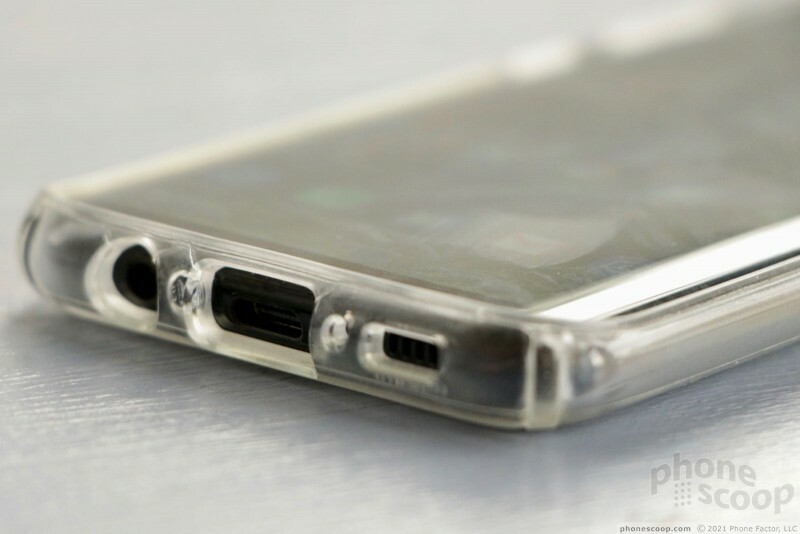 Deep cutouts on the bottom permit access to the headphone jack and USB-C port. Though Speck was generous with the cutout for the headphone jack, I found headphones with angled plugs didn't always fit. Your mileage may vary. 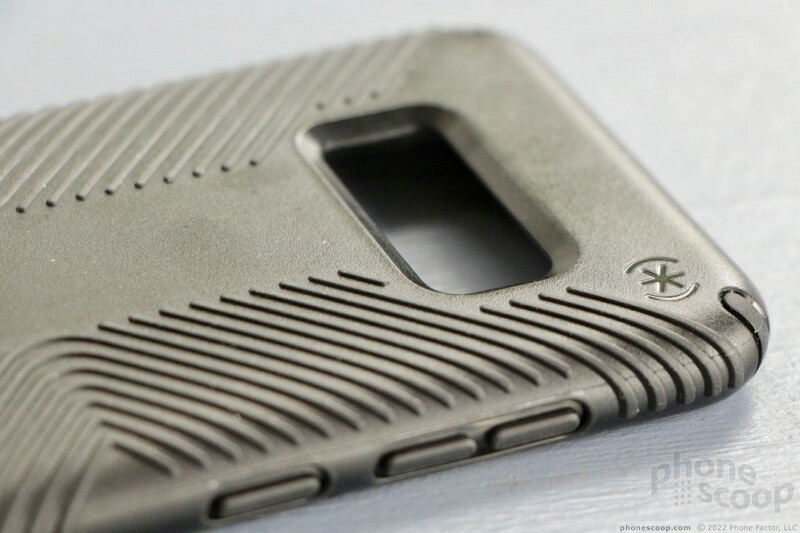 Last, the case features a large hole on the back to accommodate the camera array and fingerprint sensor. 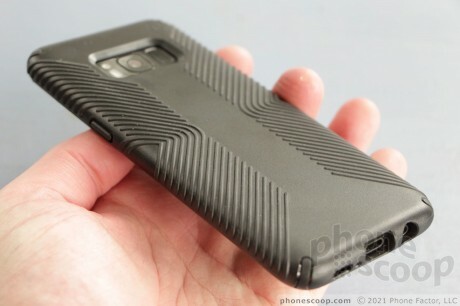 The case makes finding and using the fingerprint reader easier than when the phone is naked. 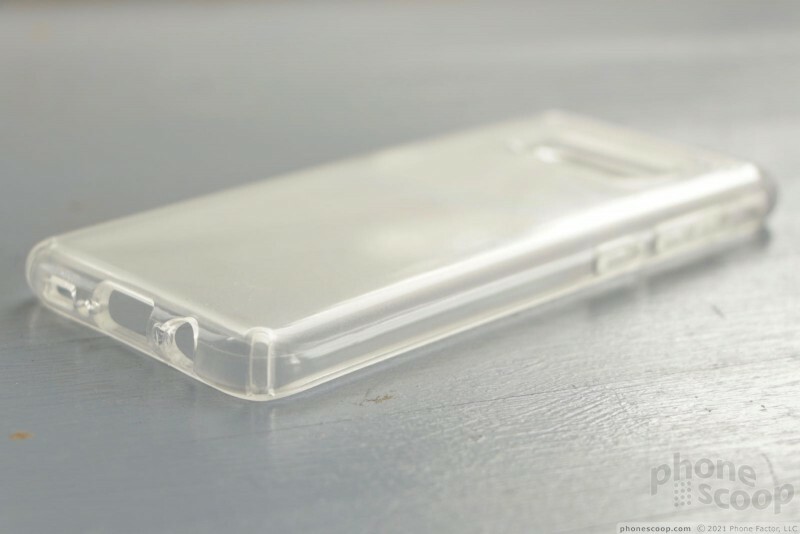 The Presidio Clear costs $40, which is a bit pricey for a non-rugged case as far as I'm concerned. 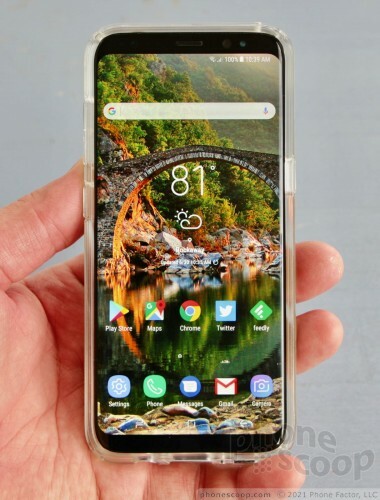 I do think the Presidio Clear is a good option, though, as it adds only a small amount of size and weight and protects the phone from the common dangers encountered in everyday use. 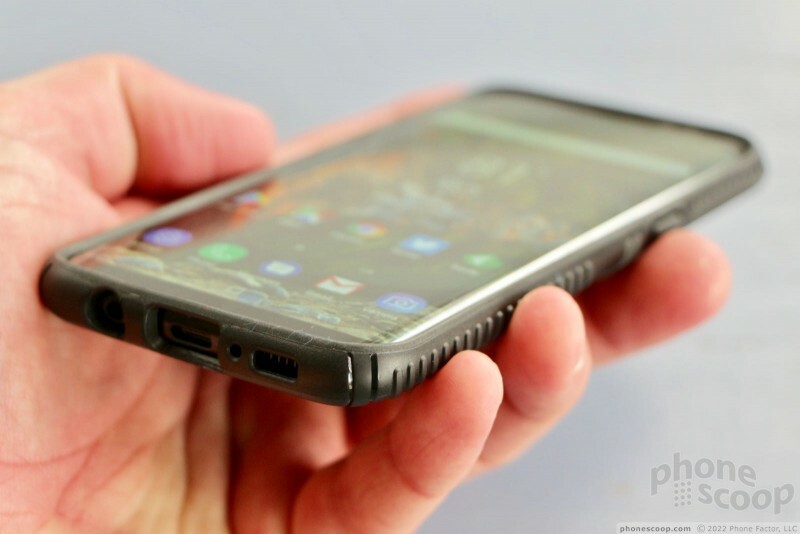 The Presidio Grip stops short of being a fully rugged case, but it is much tougher than the Presidio Clear and protects the Galaxy S8 from a wider array of dangers. 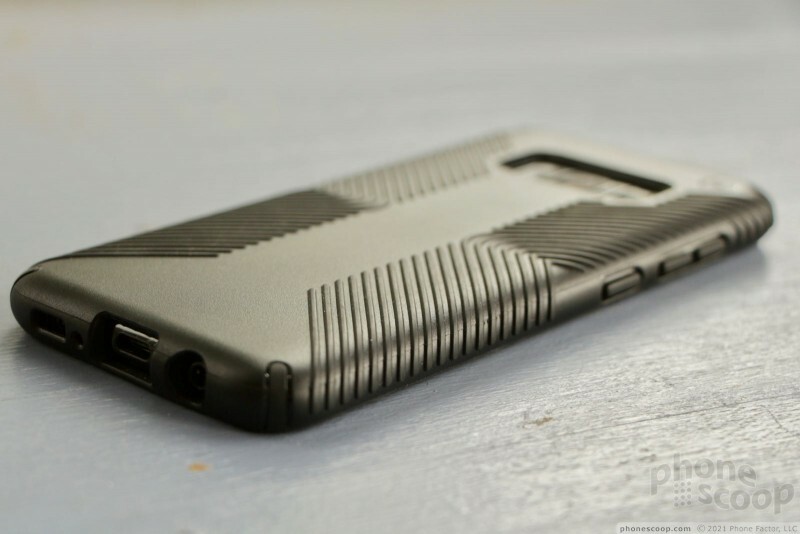 The case derives its name from the materials and design. Our Grip is a black case. 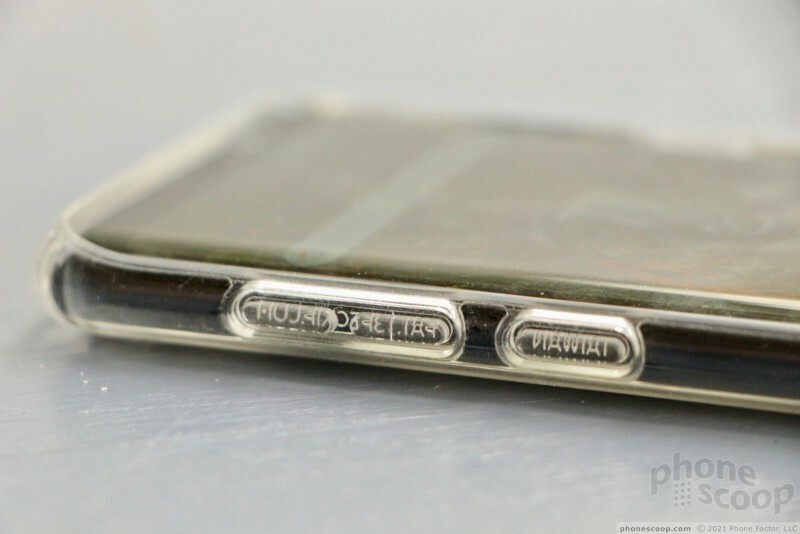 The rear panel is made from hard plastic (harder than the plastic of the Clear). It's immediately evident that the Grip is molded from tougher stuff. A series of angled, rubber lines run along the back and wrap around the sides. These ridges provide lots of sticking power, even when wet, which is what makes the Presidio Grip so grippy. 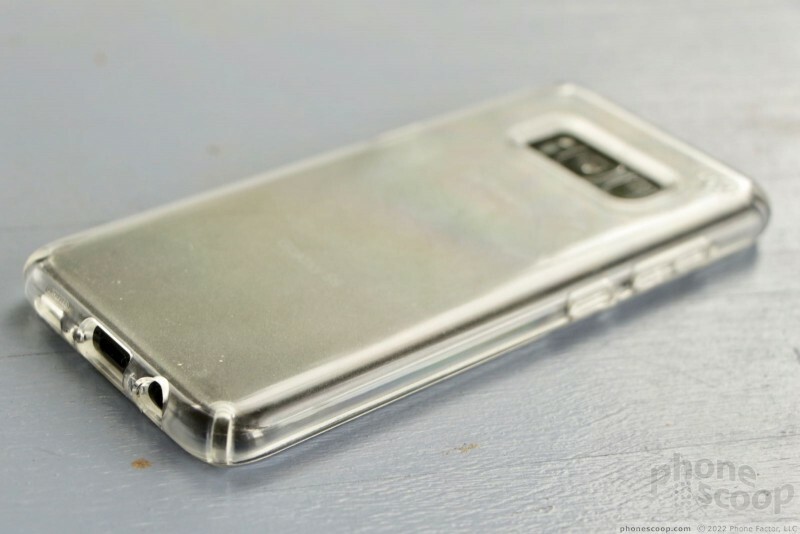 The interior of the case has rubber ridges along the edges that absorb energy and provide impact protection. The interior rear surface has a soft rubber feel, which surely helps protect that rear glass panel. Since the Galaxy S8 is waterproof, the Presidio Grip makes sense to me as a protective option when you're at a pool party and intend to use your phone to capture your friends' antics when wading in a shallow pool. 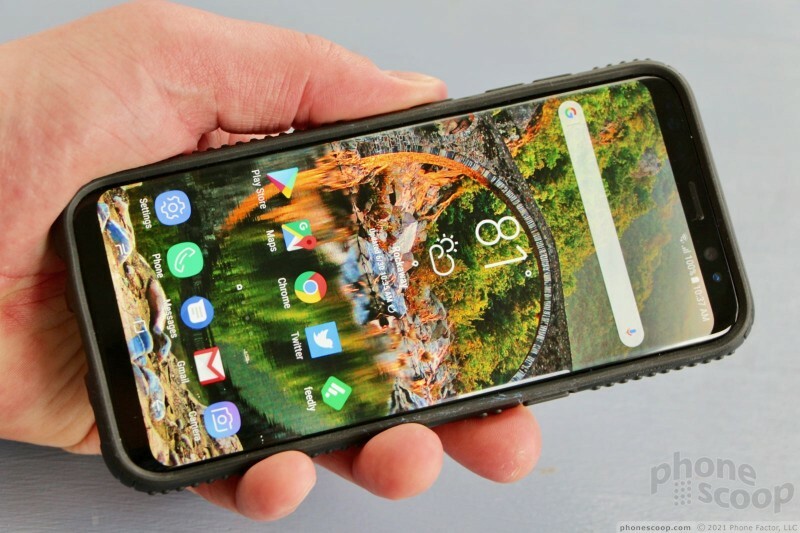 Or maybe you're fishing or canoeing in a shallow creek and know you'll have wet hands when using your phone to take a picture of that big cat fish or brook trout you snagged. 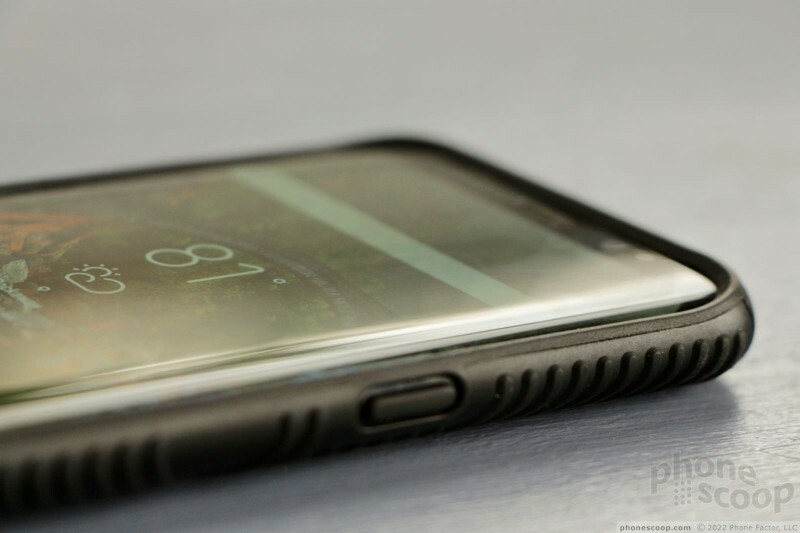 The Presidio Grip doesn't float, so if you drop the S8 into a murky lake, it's still a goner. The basic form factor of the Presidio Grip is carried over from the Presidio Clear. 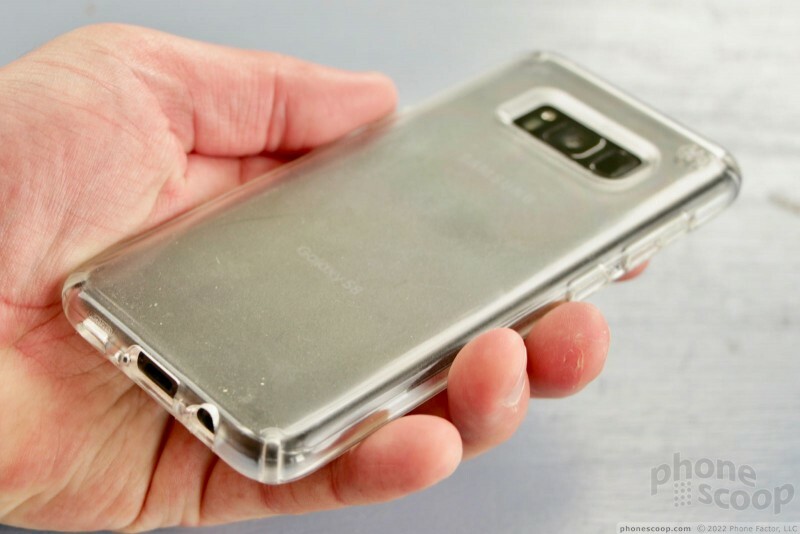 It wraps around the Galaxy S8, covering the side edges. I think it is a bit easier to slip onto the S8 than the Presidio Clear, and it's also a bit easier to remove. 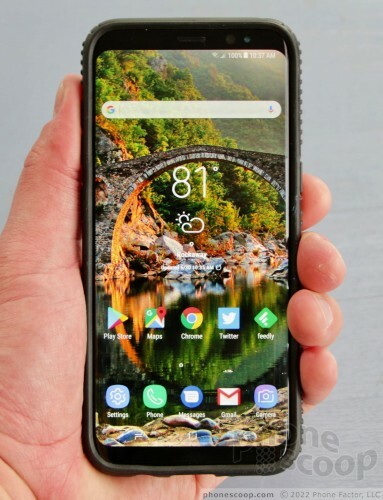 The Grip also provides raised rims along the top and bottom edges so you can put the phone down face-first and not scratch that gorgeous display. Speck says the Presidio Grip is rated for drops up to 10 feet, which is a bit more than the Presidio Clear's 8 feet. There's no question that the harder materials offer more insurance against impacts on unforgiving surfaces. I dropped the S8 onto my driveway from shoulder height while it had the Grip case on and the phone came away unscathed. Given the complete lack of protection for the front of the phone, however, I'd still exercise caution. 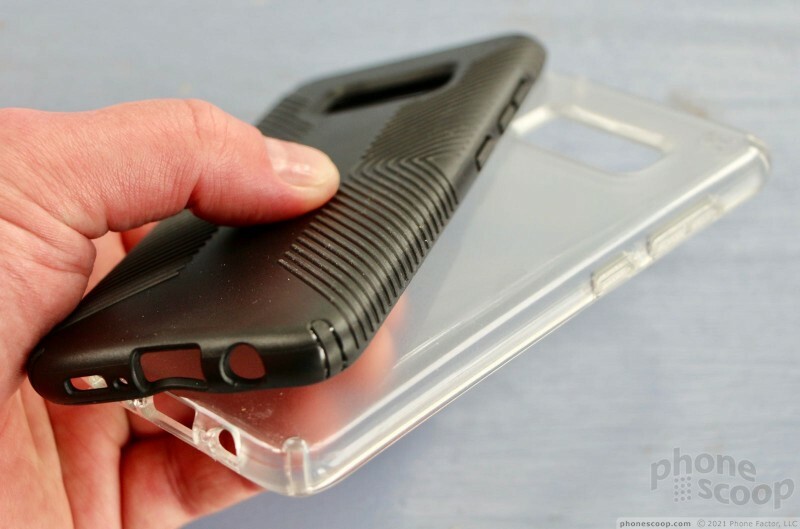 Like the Clear, the Grip is nigh unscratchable, so your case should look like new for quite some time. 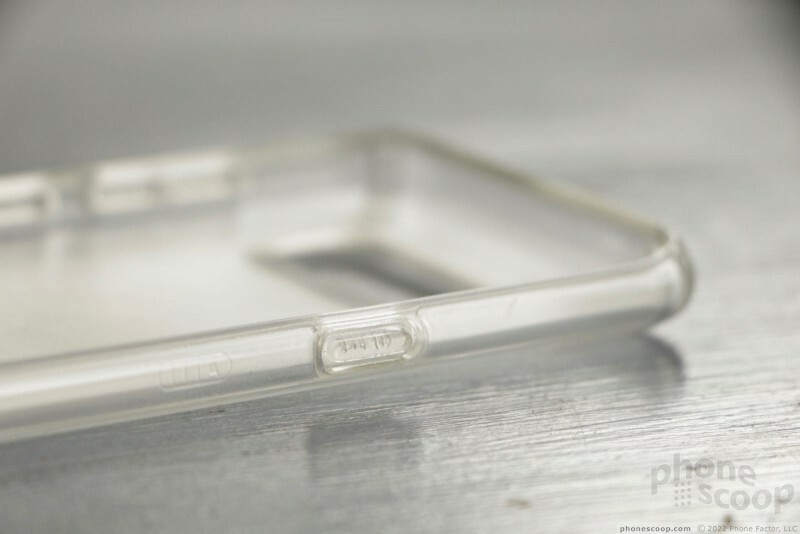 Believe it or not, the Presidio Grip is a thinner case overall than the Clear. This is particularly evident along the side and bottom edges. The harder material allowed Speck to use less of it while still ramping up the protective factor. 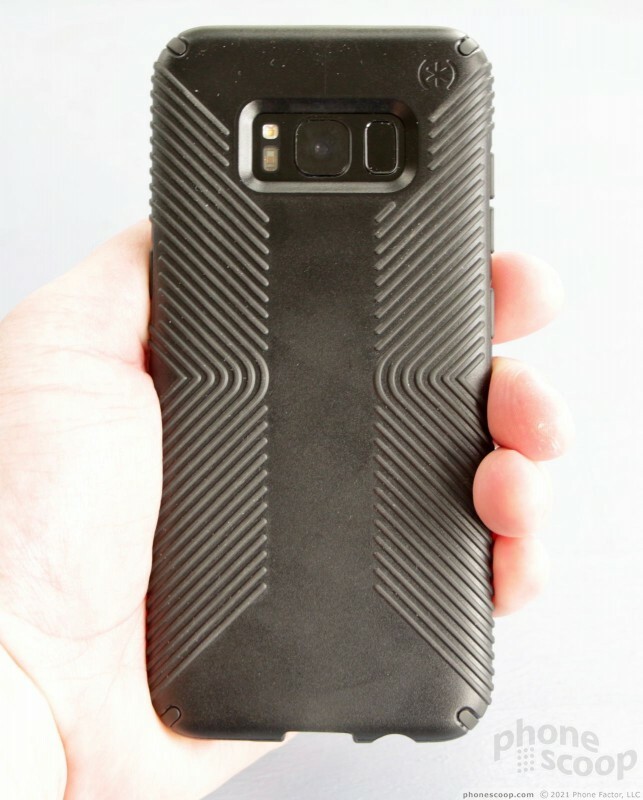 The Grip adds less bulk to the S8, which I appreciate. The side buttons are all easy to find and use, though the grippy rubber edges really make the phone hard to retrieve from your pocket. The cutouts on the bottom of the phone are less in-the-way than those of the Speck Presidio Clear thanks to the slightly thinner material. This is particularly helpful where the headphone jack is concerned. 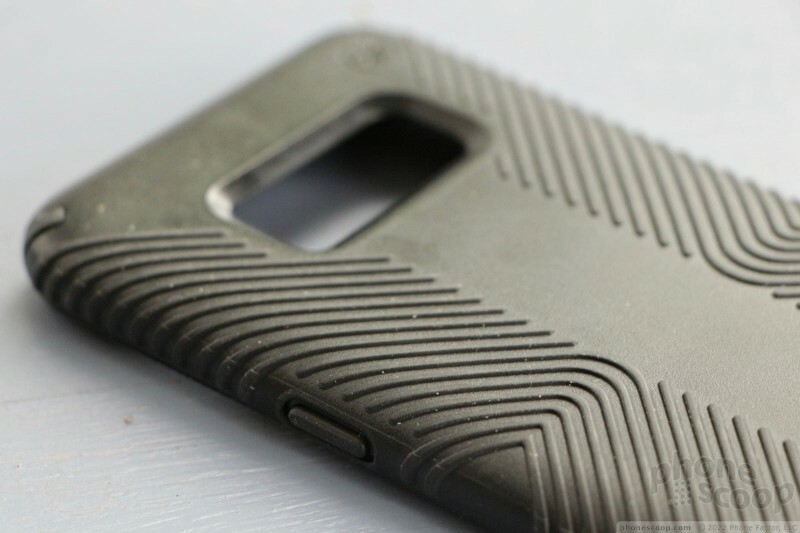 I appreciate how using a case with the S8 improves the fingerprint reader experience. The Presidio Grip from Speck costs $40. It provides more protection than Speck's Clear case, and less bulk. I like how easy the phone is to hold with the case on, and truly value how the Grip sticks in your hand when the phone and case are all wet. The Grip is a good case to use when you're pursuing activities that may find you and the phone splashed, rained on, or otherwise wet. Get a Grip!